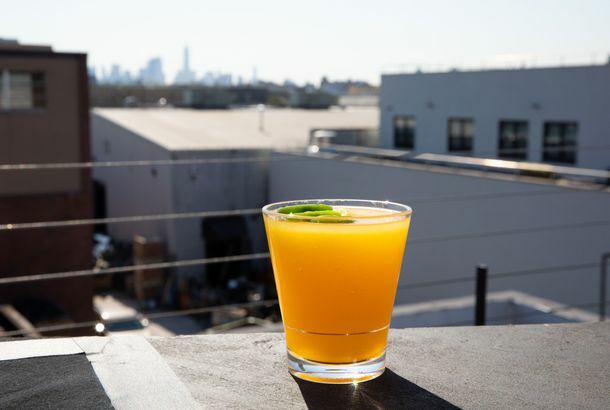 Check Out the View at New York’s Best Rooftop BarLearn why Westlight, on the 22nd floor of the William Vale hotel in Williamsburg, is New York’s top pick. Blue Smoke Caters Fourth of July; the Porch Opens on the HighlinePlus: a new rooftop drinking website, a look at Kin Shop’s family meal, and more, in our daily roundup of neighborhood news. 40 Outdoor Drinking Spots Where Summer Lives OnWhich beach bars, rooftop bars, and beer gardens have closed, and which ones are forging on? 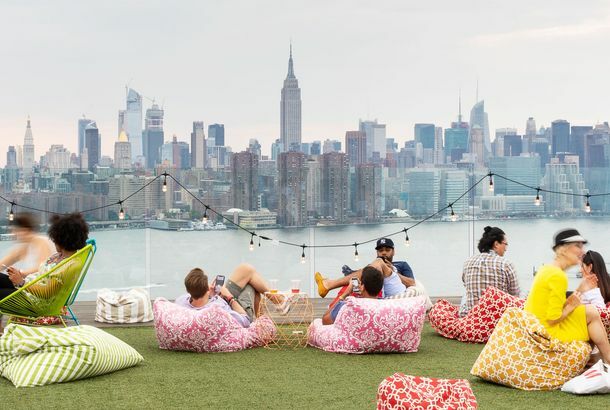 Lobster Goes Lowbrow; New York’s Own Theme RestaurantsPlus: the best rooftop bars, and a Fourth of July oyster roast. Another Rooftop RendezvousRooftop drinking in Chelsea. First Look at the Rock Shop, Park Slope’s New Rooftop-Drinking DestinationThe owner of the Bowery Ballroom opens a sports bar and music venue in Park Slope. Eating Outside In The Cold: Your Guide to Chicago’s Heated PatiosOur pick for heated patios, enclosed roof decks, and other chilly outdoor delights. Yet Another Rooftop Bar?Starwood plans to open a rooftop bar at their South Loop Aloft. Another Rooftop BrunchThe brunch party and cupcake trends collide. Terminal 5 Gets Roof DeckThe concert hall will now be serving alfresco drinks. Today in Terraces: Shang and Campbell Apartment Open, Cooper Square Coming SoonTwo outdoor openings, one in midtown and the other on the Lower East Side. Hudson Sky Terrace Reopens Next Week, and Everyone’s Invited!The Hudson Hotel is dropping the whole “guests only” charade. Our Fourth of July Gift to You: Sweet Rooftop ActionA look at the after-work scenes at five recently-opened roof decks. Hell’s Kitchen White Castle Provides Support for Smokers; Red Hook Gets YetRed Hook has a coal oven in its near future, while all the West Village gets stuck with hummus, in today’s neighborhood food news. Pen-Top Bar and Terrace Becomes Salon de NingThe Hotel Peninsula’s rooftop was always a mixed bag — it had beautiful views but lousy décor. This Friday that’ll change, when the Pen-Top becomes (drumroll…) Salon de Ning. 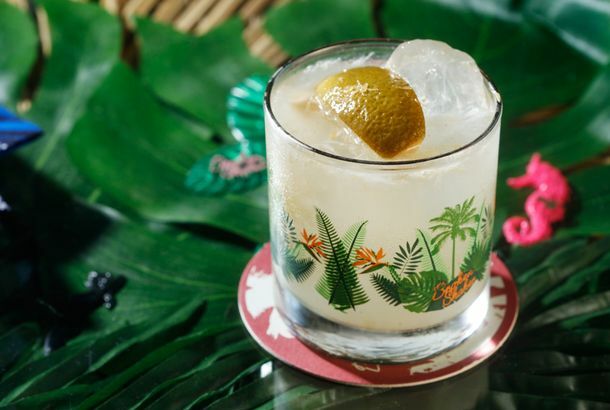 A First Look at Studio B’s New Rooftop BarStudio B’s rooftop was getting complaints from the neighbors even before it opened, but it was up and running this Friday when Brazilian Girls performed. Poolside Bar Set to Open Atop Empire HotelThe Pooldeck will have private cabanas with TV screens, wireless, and telephones. Studio B Will Bring Rooftop Palm Trees to Greenpoint“Actual-size” palm trees are being installed under a retractable glass roof. Pies-N-Thighs Settles on a June (or July) Opening; Ground Duck Put to Use inPies-N-Thighs is ready for a June (or July) opening, Perilla has a mean duck burger, and La Creperie goes down for the count.